Soon enough though, it is Lenù herself that starts to feel lost. As Lila slowly adapts to life as a married woman, her friend struggles with her studies, always doubting her ability to truly fit in with the people around her. Having deliberately distanced herself from her family and friends, Lenù now finds herself caught in a no-(wo)man’s land, stranded between two social spheres, neither of which she really belongs to. From the paragraphs above, you might be forgiven for thinking that I’ve decided to start reading romance fiction, but nothing could be further from the truth. Taking up the themes of My Brilliant Friend, The Story of a New Name is a twisting, caustic account of the life of women in mid-twentieth-century Naples, a feminist look at the struggles women faced in escaping from the poverty trap and a lifetime of subservience to men. Lila is now one of these women, and her introduction to married life is brutal and upsetting. It does not make for pleasant reading. Every time Lenù believes that their friendship is finally over, she can’t resist going back to see her friend, looking for something she could never really explain – praise, redemption, a feeling of superiority? A further strong point of Ferrante’s writing is her wonderful characterisation. The two main women are strongly depicted, and can be very attractive, but there is no black and white here. Lila is whimsical, changing her mind more often than is good for her (and the people around her), but she can also be perversely stubborn, often when giving in a little might actually benefit her. Lenù, despite being our conduit into Ferrante’s world, is a coldly honest portrayal of a character the reader might be tempted to associate with. Egotistical, immature and often self-serving, she is also somehow easily swayed and unable to keep her nose out of matters that don’t concern her, even if she kids herself that she wants no part of life in the neighbourhood. These flaws though, far from marring the two women, make them real, complete, people we can truly sympathise with. 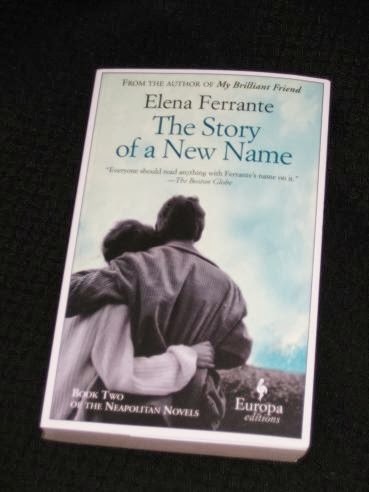 Really like the writing style in those excerpts – My Brilliant Friend is going on my wishlist.